The body of a minor girl, eight-year-old Kabita Rani Brahma, who reportedly got drowned at Longa River Mawriagaon under Dotma police station in Kokrajhar district, was fished out on Sunday by the National Disaster Response Force (NDRF) and State Disaster Response Force (SDRF) personnel from Athani area under Gauripur police station in Dhubri district. According to locals, eight-year-old Kabita along with another girl identified as Pami Mushahary, aged seven, both of Mawriagaon village, had gone to take bath at Longa River around 2 pm on Saturday but is suspected to have been swept away by the strong current and rising water of Longa river. When the two girls did not return home till late in the evening, the family members frantically started searching for the duo and found the clothes of the two girls on the banThe body of a minor girl, eight-year-old Kabita Rani Brahma, who reportedly got drowned at Longa River Mawriagaon under Dotma police station in Kokrajhar district, was fished out on Sunday by the National Disaster Response Force (NDRF) ks of the river. 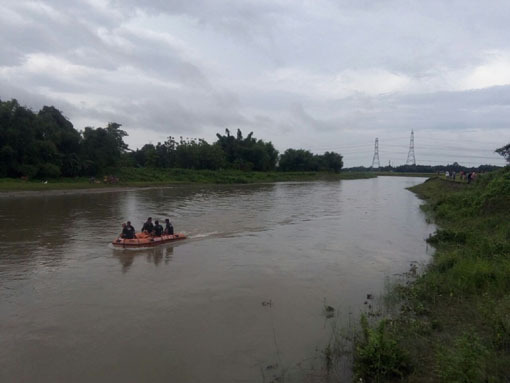 Additional SP (Security), Kokrajhar, K Gupta, said that they received information from the minor girls’ parents and villagers that both of them were missing and suspected that the duo had drowned in Longa river. Rabiram Narzary, MLA, No 29 West Kokrajhar constituency, visited the spot and expressed grief over the whole matter. He said that water from Bhutan had suddenly flooded Longa river in Kokrajhar. Narzary also said that he will discuss with the Kokrajhar DC and the State Government the matter of paying compensation to the victims’ families.